Fishermen Or Swarm Dynamics? Should We Understand Jihadist Online-Radicalization As A Top-Down Or Bottom-Up Process? The internet has profoundly changed the way we communicate, including how jihadist groups seek to reach Western audiences with their propaganda strategies. Cases of believed online-radicalization call for a re-evaluation of radicalization processes, previously thought to depend on face-to-face interactions. 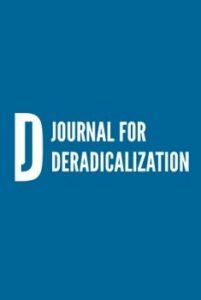 Based on the Hoffman-Sageman debate on whether top-down or bottom-up processes drive terrorism, this essay explores both social movement and organizational approaches to understand online-radicalization. Do jihadist organizations such as Al-Qaeda and IS act as ‘fishermen’, actively engaging in the radicalization processes of individual recruits, or is radicalization driven by social group dynamics with little organizational involvement? Essentially, the larger question is: What role do organizational structures play for radicalization in times of ‘virtual jihad’? Bottom-up radicalization processes are facilitated online, because the conditions for Sageman’s ‘bunch of guys’ are replicated by the characteristics of virtual communication: an echo chamber effect causes frame-alignment through repetition and enables ‘digital natives’ to communicate claims that resonate with other ‘digital natives’. Top-down structures are influential, because organizations continue to employ sophisticated propaganda development, preachers and special recruiters or ‘fishermen’. The article finds evidence for both schools of thought and concludes that the internet facilitates both types of radicalization mechanisms. Only a holistic strategy will be successful in battling online-radicalization and must include both targeting direct channels through which the organizations execute control over recruits, and breaking the echo chamber created by social movement dynamics in the virtual world. While countermeasures need to include the provision of alternative social narratives and the utilization of ‘digital natives’ to make counter-messages more effective, organizational structures need to be tackled simultaneously, not only by identifying and arresting preachers and recruiters, but also through stronger internet governance tools and collaboration with social media companies.